Here at OGS, we understand how important security is to your business or home office. We can design, install, and integrate full-service IP and computer based digital surveillance systems of any size. Whether you need one camera, or a whole network, we can help you find an efficient and cost effective security system for your peace of mind. Our skilled technicians will assure that your system is always functioning at maximum performance. At OGS we only use the highest quality digital video servers/recorders, cameras and monitoring stations. All of the systems we create are reliable and economical additions to your home office or business. 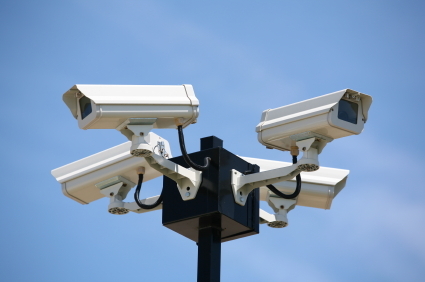 We pride ourselves on providing prompt and flexible support for your surveillance systems whether they are designed and installed by us, or someone else. Whether you’re in charge of risk management for a Fortune 500 chain or running your own single office business, OGS Technology has a security solution that’s perfect for your needs. Any size business can benefit from our combination of advanced technology and smart business practices. Security Cameras have become very popular among many business owners who are looking for an efficient way to protect their investments. Camera systems are effective at protecting your company against costly law suits and securing evidence in criminal matters originating from both internal and external perpetrators. The team at OGS Technology provides camera system design, installation, and maintenance for businesses of all sizes and industries. We can create a turnkey camera system that will meet all your business needs, and maintain it so its runs as efficiently as possible. IP cameras are available in much higher definition, offering more distinct details in the picture. A single megapixel IP camera can often take the place of several analog cameras. Also, IP cameras are not required to be extremely close to an NVR and are capable of sending a video signal over any network such as a LAN, WAN, or Internet. However, with the improved technology that is built into IP cameras comes additional cost, which is typically much higher than systems using analog cameras. The integration of digital cameras is also more difficult because each manufacturer has its own proprietary technology and design that needs to be factored into the project. OGS Technology has a team of experienced professionals that are ready to discuss your security needs anytime. 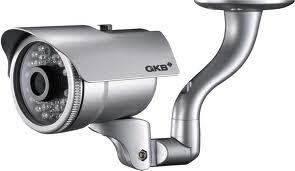 We will design and install a security camera solution that is custom made to your company’s requirements. Contact us today for a free quote and to discuss your security and get a no charge assessment of your needs.